RIP Orange, We Loved You. A Eulogy. Now that EE have admitted they are ‘phasing out’ the Orange brand, I thought I’d repost this blog written in September 2012 – when EE were carefully denying any such plans. It’s just unbelievably sad that corporate ‘squabbles’ and egos led to the demise of one of the most amazing, customer centric brands of the 20th century…. (Original Post 12/09/12). So yesterday, ‘Everything Everywhere’ started their about-turn on the promise that it was never going to be a customer-facing brand, by announcing the launch of “4EE”. Apparently, “it’s designed to ‘sit alongside’ Orange and T-Mobile in the cities offering 4G coverage”. To sit alongside while they work out how to phase them out, no doubt. My fellow ex-Orange colleagues and I are appalled that this is happening. But I’m not surprised. The Orange brand has been in terminal decline for years. This is an assisted suicide. I was one of the Orange brand team back in the ‘glory days’, when Orange revolutionised the mobile telecoms market. It felt like every week we were launching some amazing new technology. When we launched WAP we referred to it as ‘Where Are (the) Phones?’ as the handset manufacturers struggled to keep up with the new innovations. If you’d cut any of us, we would’ve bled Orange blood – that’s how passionate we were about the brand. Along with our amazing agency colleagues (too many to mention, but big credit to WCRS, Lowe, The Media Planning Group and Craik Jones) we lived and breathed that brand. We led our agencies with the philosophy that you “call the person, not the place” whilst simultaneously banning them from showing any handsets (we were a network, not a handset manufacturer, after all). This led to some of the most memorable, award-winning and emotive ads that have ever been made. 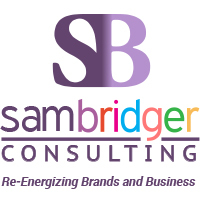 We all nurtured and managed a truly original, dynamic and customer-centric brand. One that genuinely put the customer at the centre of everything it did, and didn’t just pay lip service to it. I clearly remember the battles with our Product Marketing and Finance colleagues when we proposed to scrap the expiry dates on PAYG top-up vouchers (an idea originally suggested by Robin Wight), and later, when we also scrapped ‘peak and off peak’ tariffs. Both restrictions seem like such anachronisms now – it’s hard to believe that that was how all the networks operated. But Orange was the first to get rid of them, and in so doing, we moved the business from being the third biggest UK operator to the biggest in just a few months. We were lucky that we worked for a visionary CEO, Hans Snook, who was dreaming of new innovations like video calling while customers were still getting to grips with text messaging, and everyone scoffed that it was all a bit too Star Trek. Back then, Orange lived and breathed its brand values. Everything the team did was Dynamic, Honest, Straightforward, Friendly and Refreshing. 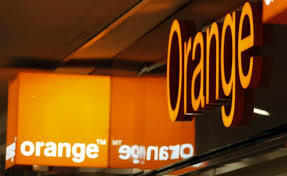 In 2000, France Telecom paid £27bn for Orange, when the business still had debts of £1.8bn. At the time, it was agreed that the majority of that price tag was down to the value of the brand. But France Telecom’s bean counters started to pull the soul out of the very brand they’d paid all that money for. The change of management brought in a new marketing team that seemed bent on removing any trace of what made the brand so famous in the first place, engaging Mother and producing a series of increasingly bizarre, disastrous ads (with the notable exception of the Cinema campaign). So here’s my point. Orange hasn’t been loyal to its original brand values for a very long time, and I say this not only as an ex-employee, but as a customer (I’ve been with the network for almost 20 years). Maybe France Telecom threw them away in the clear out. The Orange brand has been in terminal decline for the last 12 years. So if “EE” aren’t going to honour it, they don’t deserve to keep it. I’d rather it was given a respectful, assisted suicide than left to die slowly and in pain. Rest In Peace, Orange. We loved you. Thank you, watching that ad again after all this time bought back the most incredible and enjoyable memories of 6 years in Orange. I felt priveliged to be part of that team! That ad is still vibrant today. Thank you so much Chris Moss! EE just cannot compete with Orange and there lies the rub! Well said Sam, we all would have bled Orange Blood that was an absolute fact that no one could deny. I got so fed up of the BS that I moved my phone service to Vodafone about 5 years ago now (I kept my orange account for a while even after I left), and the amount of stories I hear from people about the way their problems and irks are addressed now makes me wonder if the company as it stands today (Orange or not) is interested in Customer experience at all. Everything I’ve seen leads me to believe not, and customers are just viewed as mere cash cows now. Myself and the teams I worked with often went above and beyond what we where expected to do, sometimes working very, very long hours into the night (way beyond our permitted shift hours) and all because we believed in the brand, it was strong, we where family and that meant a great deal to us. Then FT came in and it all slowly started going down hill from there. Out of all who I worked with, I think only 1 or 2 of the 30+ are still there, and that’s only because they are working out to pension age. It’s a crying shame to see it all end this way, the network that you guys promoted and sold, the network that Stephen Swabey and his teams built and the network that myself and my colleagues kept running and in tip top shape.